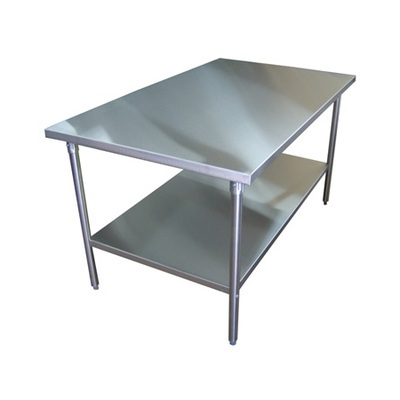 Support legs and bracing shall be tubular stainless steel; legs shall be equipped with adjustable leveling feet. 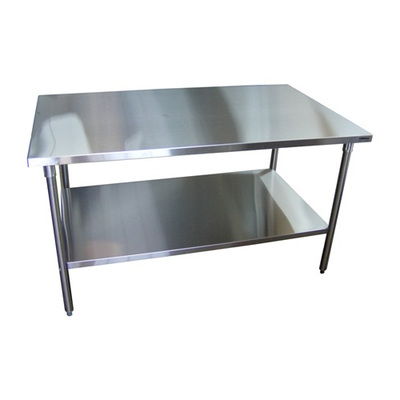 Under-shelves shall be manufactured from heavy-duty, reinforced stainless steel, welded to the support legs. 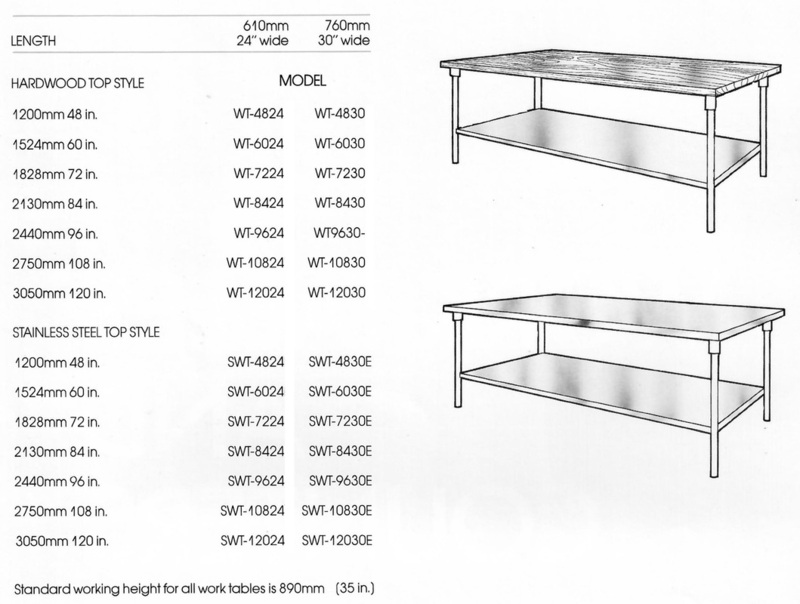 Standard finish for all work table legs, bracing, and undershelving shall be stainless steel.